It’s time again to take the skies. Falcon Heavy’s launch date has slipped to April 9, 2019, as of right now. The launch window will open at 6:36 p.m. EDT and will stay open for 1 hour and 57 minutes. SpaceX confirmed a successful static fire test and the targeted launch day of April 9th on Twitter. Many news sites throughout the area reported a launch on Sunday, April 7. SpaceX has taken some extra time to ensure the health of Falcon Heavy and to give their technicians enough time to prepare Ground Support Equipment and the Launch Vehicle. 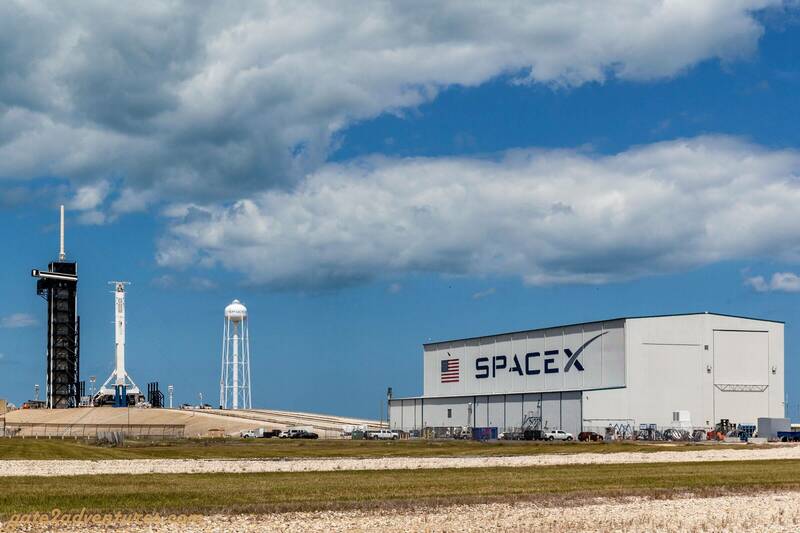 Falcon Heavy will launch from historic Launch Complex 39A which SpaceX leased from NASA and retrofitted to support the launches of Falcon 9 and Falcon Heavy rockets. This will be the second flight of the Falcon Heavy since its inaugural flight 14 month ago in February 2018. Another milestone of this launch is the first Block 5 variant of the Falcon Heavy. SpaceX has been flying their Falcon 9 in the Block 5 variant for a while now. Last week, SpaceX technicians inspected and tested the strongback. The strongback is the piece of hardware which holds the rocket upright until a few seconds before launch. A Strongback is a part of the Transporter Erector Launcher (TEL). 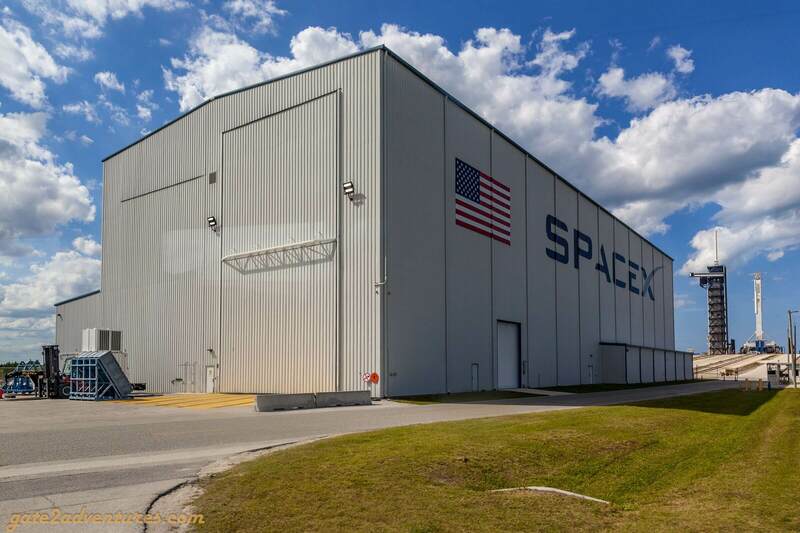 As SpaceX uses horizontal integration at the vehicle assembly building at the bottom of the ramp, the TEL is moved down the ramp and into the building. Once the rocket and payload are on the TEL it rolls back up to the launch pad. There it erects the launch vehicle vertically and holds umbilical connectors for launch vehicle fueling, power and purging gas. The below pictures were taken during the KSC Explore Bus Tour which starts at the Kennedy Space Center Visitor Complex. Unfortunately, during the days before launch, the tour is altered and you won’t get as close to the launch pad anymore. 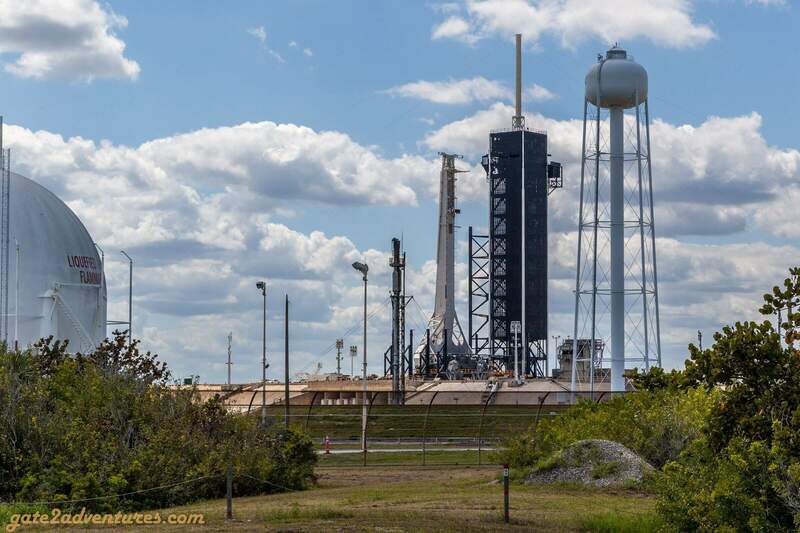 SpaceX will attempt to land the two side boosters at their Landing Zones 1 and 2 at Cape Canaveral Air Force Station, while the drone ship Of Course I Still Love You (OCISLY) is out in the Atlantic Ocean to attempt to recover Falcon Heavy’s center core. Falcon Heavy’s boosters landing at Landing Zone 1 and 2 during the inaugural flight of Falcon Heavy in 2018. To not run out of milestones for this launch, this will also be the first time Falcon Heavy is carrying a commercial payload. Arabsat 6A is a Saudi Arabian communications satellite built by Lockheed Martin. Arabsat-6A and its companion satellite, Hellas Sat 4/SaudiGeoSat-1 are the most advanced commercial communications satellites we've ever built. The Kennedy Space Center Visitor Complex will offer different launch viewing packages. Make sure you check in time to get a ticket. Prices vary depending on the package. With a distance of approx. 3.9 miles, the “Feel the Heat Launch Viewing Package” will bring you as close as you can get. You will watch the launch from the Banana Creek Launch Viewing Area adjacent to the Apollo/Saturn V Center, which is included in a visitor complex admission. If you don’t want to buy a ticket, there are numerous other spots available. PLAYALINDA Beach: Make sure you get here early, as the road will probably be shut down and the best spots will be taken. CCAFS South Gate: Another spot would be the launch viewing area just outside the south gate of the Cape Canaveral Air Force Station. Same here, come early to get a spot. Once full you have to leave the area as the area on either side of FL-401 (going to CCAFS) is already roped off and is a designated no parking zone. A1A between Merritt Island and Cape Canaveral: At this location, you are about 14 miles away from the launch pad. Bring your binoculars or telescope to view the rocket on the pad. A. Max Brewer Memorial Bridge: This is probably one of the most distant viewing locations. Walk the sidewalk up to the bridge for a nice and elevated view. If you have any other great recommendation for viewing this launch, leave them in the comments and I will update this post.